Here we go! 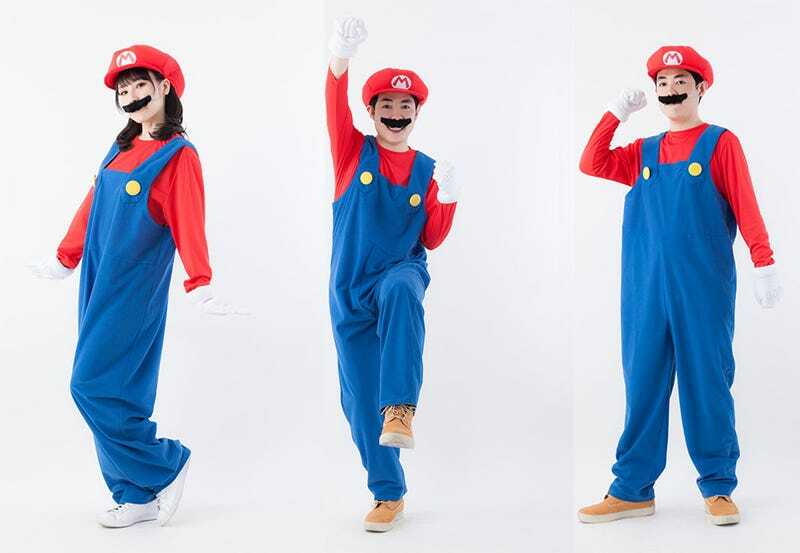 These are the first officially licensed Mario and Luigi costumes for Japan. I believe that officially licensed Halloween costumes are available outside the country, but until now, that wasn’t the case in Japan. Both outfits go on sale in Japan on September 19 for 7,500 yen (US$60). Both come with OFFICIALLY LICENSED facial hair.